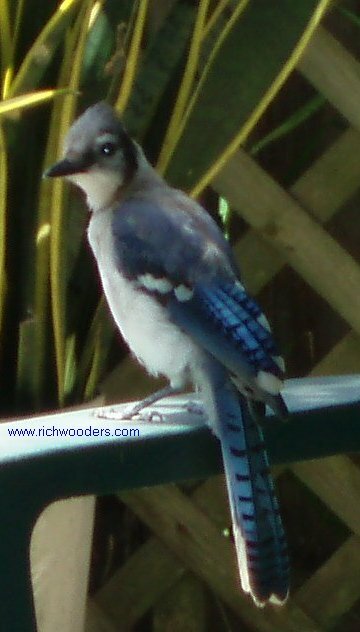 The blue jay (Cyanocitta cristata) is a beautiful, intelligent North American bird easy to recognize with its crested head and they can raise or lower its crest, black and white necklace, blue plumage, and long blue tail. 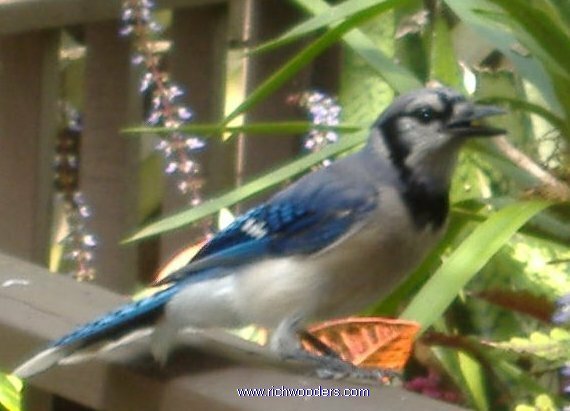 Blue jays are well known for their harsh, noisy cry, are very aggressive. 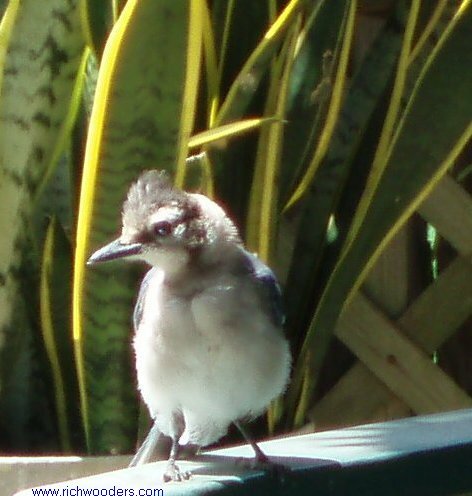 Blue jays can even imitatethe calls of Broad-winged Hawks, the cry of the Sparrow Hawk, and Red tailed Hawk. 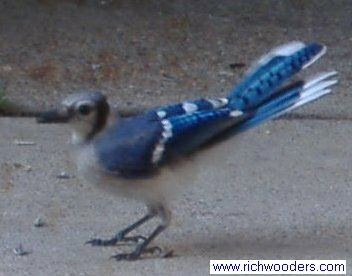 Blue jays eat forest tent caterpillars, peanuts, variously colored berries, acorns, mice, small fish, spiders, beetles, and insects. 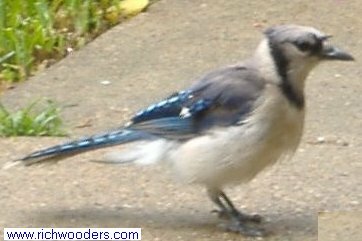 To find them, all you need are your eyes and ears, you can find Blue jays in your backyard, suburban area, woods, parks, etc. Copyright © © Background 2007 By [ Billybob] All rights reserved.